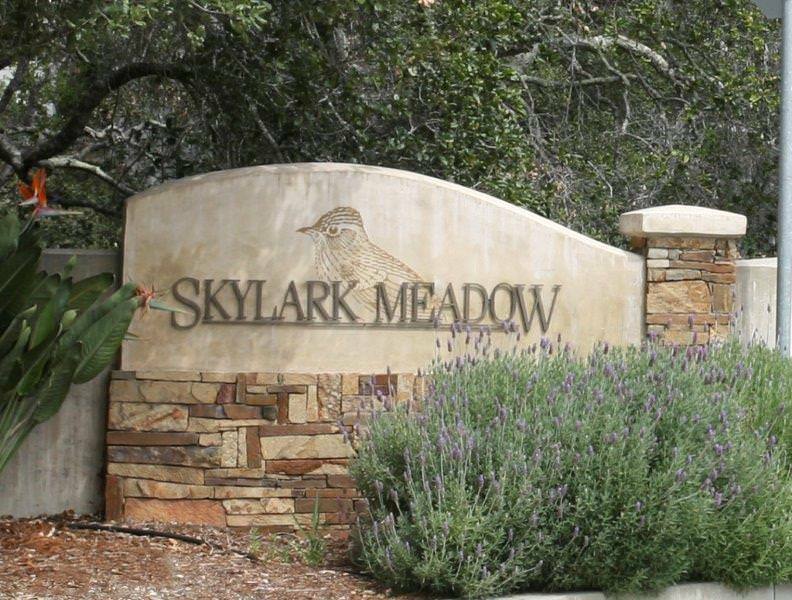 Where is Skylark Meadows San Luis Obispo? Skylark Meadows is located North of Indian Hill and Avila Beach and South of Silver Oak and San Luis Obispo California in San Luis Obispo County. Kingfisher Canyon is to the West, and See Canyon is to the East. The closest main road is San Luis Bay Drive off Highway 101. Directions from Highway 101: Turn West onto San Luis Bay Drive, then turn right onto Sparrow Street, then through the gate, then turn right onto Lupine Canyon Road, then turn right onto Morning Dove Lane. The following are the street names in this community: Kestrel Lane, Kingfisher Lane, Songbird Street, and Morning Dove Lane. Skylark Meadows features 65 planned unit development (PUD) home sites in this gated community. They feature wood siding and concrete tiles on the roof. They are in the San Luis Bay Estates master plan. If you are looking to sell your Skylark Meadows home and need to find out what your home is worth please go to www.FreeHouseQuotes.com complete the form and I will complete your home valuation request. When you request a Free Home Quote I will complete a Sellers Net sheet to help give you all the information of the fees associated with selling your property. To help create a more accurate sellers net sheet I may have additional questions to be as accurate as possible. It's not just experience but the attention to detail that helps keep real estate transactions smooth. Communities in San Luis Bay Estates Avila Beach: Silver Oaks, Skylark Meadow, Indian Hill, Mallard Green, Pelican Point, Heron Crest, Kingfisher Canyon, and Quail Canyon. Other luxury communities El Portal and Indo Drive, San Luis Bay Estates Avila Beach, Bassi Ranch San Luis Obispo, or Baron Canyon Ranch San Luis Obispo. James Outland Jr Realtor with Outland and Associates Real Estate Serving the San Luis Bay Estates Skylark Meadows Real Estate market.